This quote from Mark Twain has always been one of my very favorites. In fact, I have considered painting it on my son's wall to remind him that many great adventures await him. I also think the quote makes for a wonderful birthday party jumping off point. 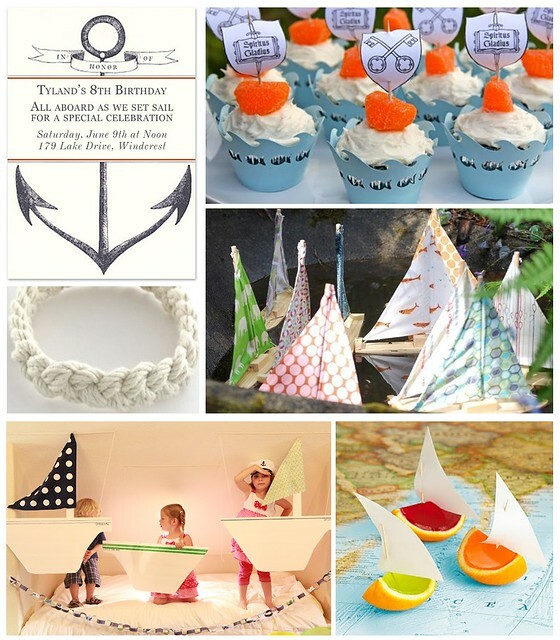 This year, encourage your child's imagination to set sail with a boat inspired birthday party full of unique activities and colorful accents outside of the normal nautical navy and red scheme.